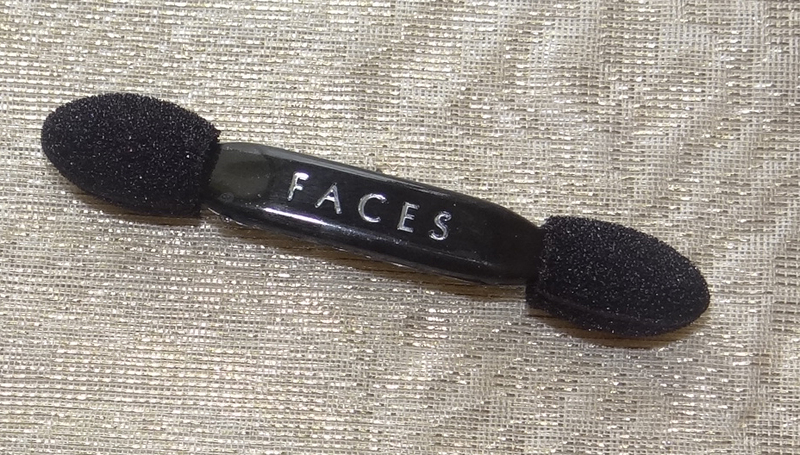 Faces Canada's Silk Glam range is a big hit in India. I asked many ladies about this range and almost all were agree on this view that it's such a range from Faces that can't be missed at any chance. I completely have the same opinion because I have used their many products before and reviewed them many times. 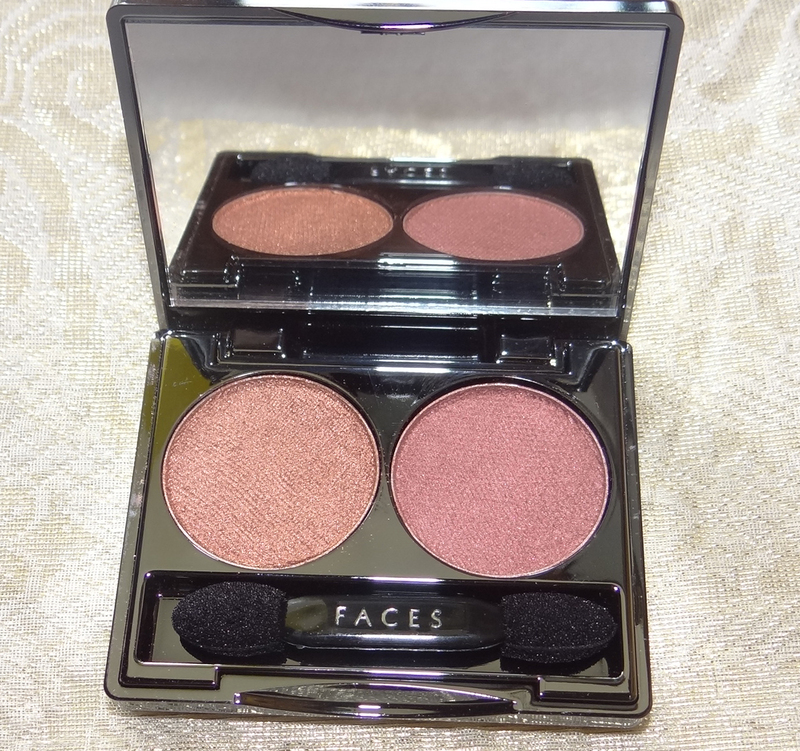 I was really excited to try out their Silk range and I was happy to know that Faces were sending me that range some times ago but unfortunately they couldn’t send it to me due to some problem but the next time they send me it too quickly. 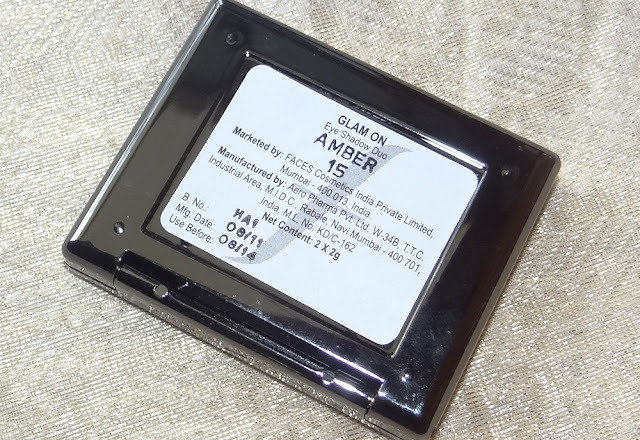 I have shown their whole range in my previous posts and today I’m reviewing Faces Silk Glam On Eye Shadow Duo Amber which is a part of their New Silk Luxury Makeup Range. 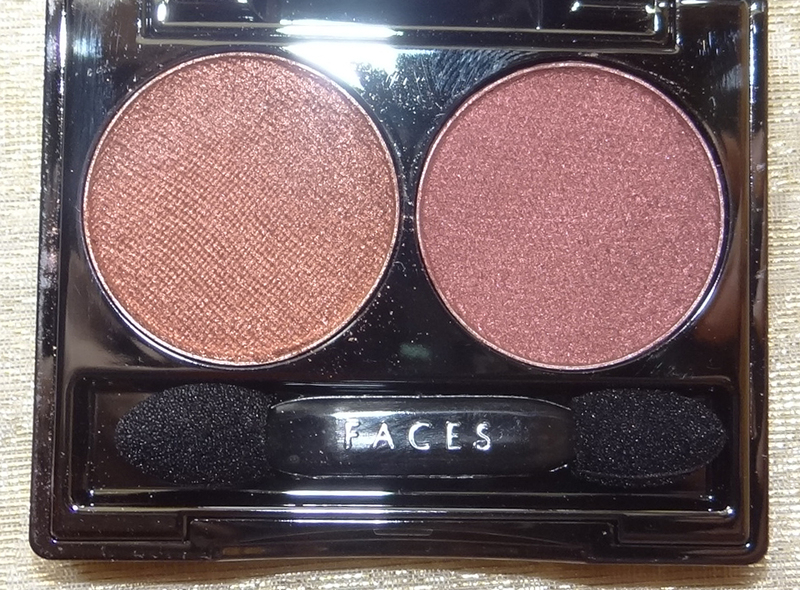 This eye shadow duo is a set of two beautiful eye shadows which can create a lovely eye makeup. You can mix other shades too but the ideal look will be using just two shades. Now create striking combinations with duos that have advanced long-wear formulation and a luxurious texture. It's the magic of Silk. Just the packaging is enough to make one spellbound about the product. I'm extremely impressed with the packaging. 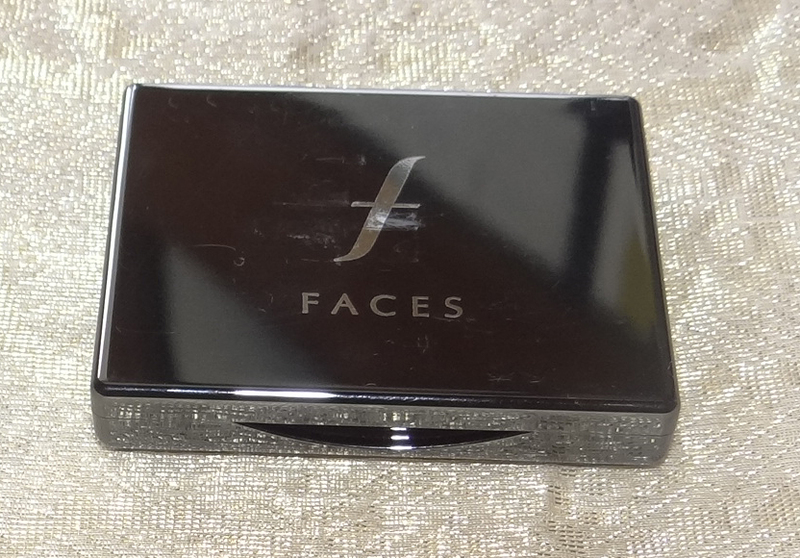 The eye shadow duo comes in a beautiful sleek sturdy case. 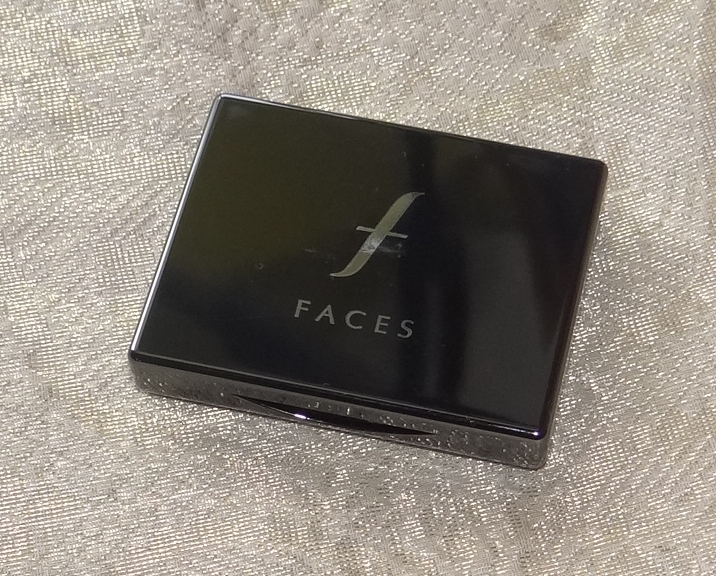 The compact case is so glossy & shiny that you can see your face in it. Beautiful grayish black case with the duo number and expiry date written at the bottom of the case. After opening the case you find the two shadows with a wide mirror and a sponge tip applicator which can give some help in applying the shadows. Over all it’s a classy packaging. There are two shades in the case; they have given the name Amber. The first shadow is sparkly bronze and the other one is pinkish maroon. Both are enormously gorgeous and dazzling. The texture of both shadows is smooth and silky. They are really like silk. 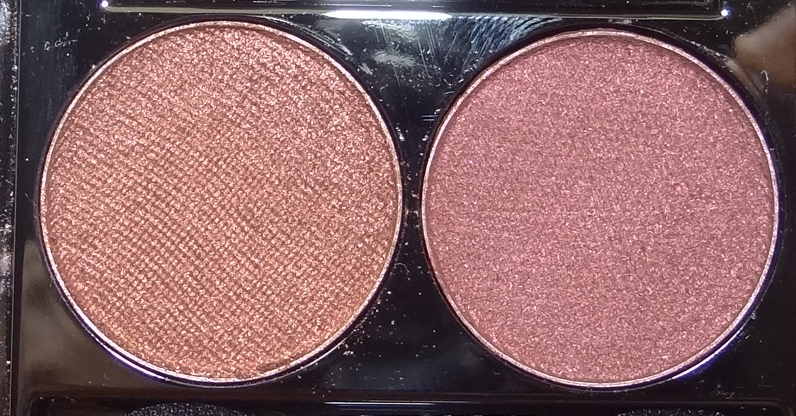 The pigmentation is just amazing; it’s more pigmented than the Faces quad shadows. You can even apply them without a primer. You can feel the pigmentation after just one touch from your finger. I love its strong saying power. It stays 4 to 5 hours without primer. If you apply a good primer like RBR Mattyfing primer, it can stay about for 8 to 9 hour without smudging or creasing easily so you can imagine about its strong staying power. I have to realize that it’s a wonderful product from Faces. 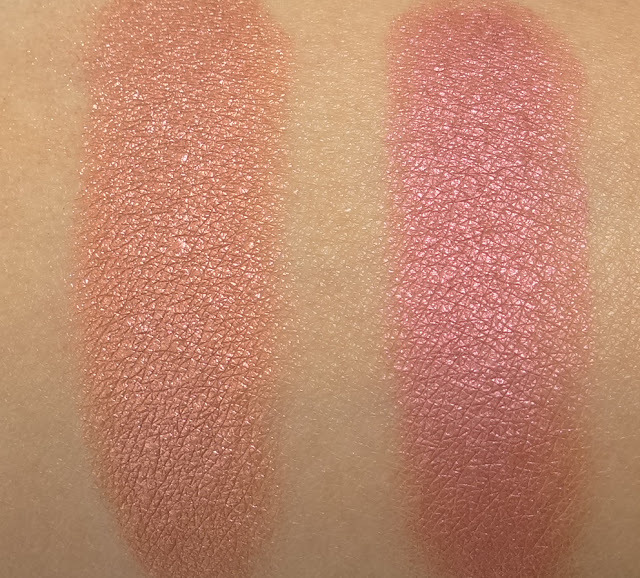 Both shadows are beautiful with soft silky texture. When I applied them on my lids, the silky effect of these shadows reminded me many times that I was using a product from a silk range. I was surprised to see that there was no fall out in both shadows. I really hate the fall out of shadows because it’s like a headache for me. 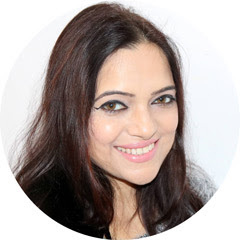 Moreover they were easy to apply and gave a satin finish to my eyes.The effect which I got after applying them was incredible, everyone praised my eye makeup that day. I was really pleased to see the result. I have already written about the lasting power so there is nothing bad in this duo. The finish I got after applying them was really impressive. Beautiful glossy packaging which really makes it a part of silk range. You can’t expect a better packaging from this range. You get a wide mirror and double tipped sponge applicator which can be very helpful in traveling. The texture is soft like butter, silky touch you can feel while applying the shadow. 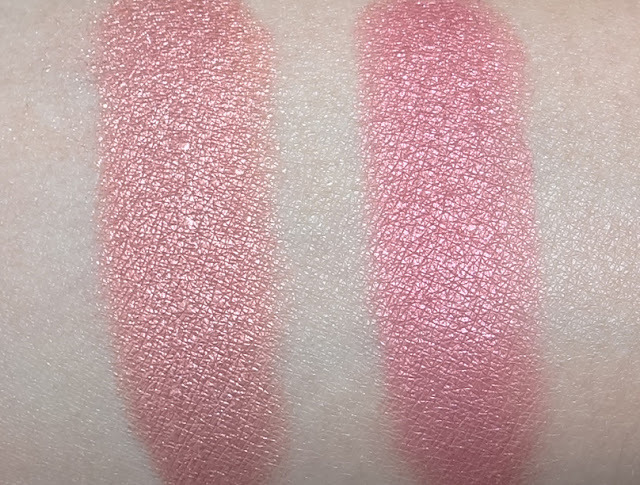 Both shades are beautiful and give a fantastic effect. You can applying either alone or mix with the other shade. Can be also mixed with a black shade to give a glamorous effect. The glitters contained in the shadows are not too much, they just give a glamorous finish to the eyes. The most important thing which I love in these shadows not falling out at all. The lasting power is amazing, stronger than one expects. They don’t smudge and crease for a long time. gets easily removed with your cleanser. To see the superb quality, its worth the cost. It's not a bad point but I wish they kept the other shade gold or black, or in any contrast color. you can’t get any fault to criticize and it’s a big deal. You hardly ever find a product in which nothing is bad. 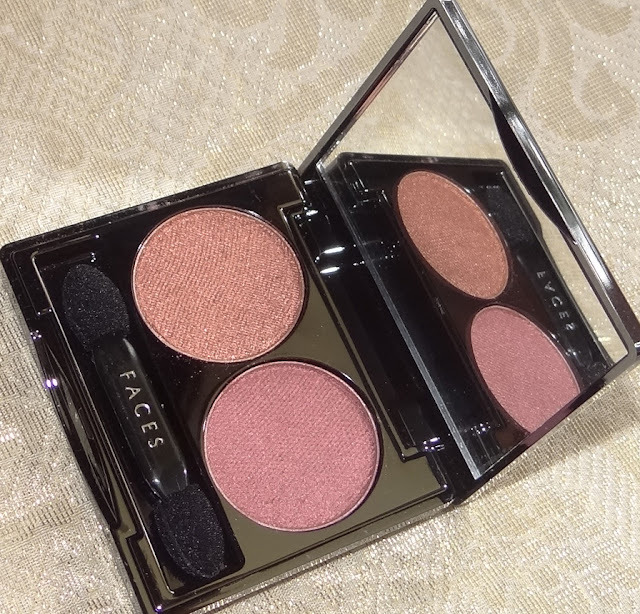 I greatly recommend it to my readers to try this wonderful eye shadow duo. I’m sure you’ll also fall in love with them.